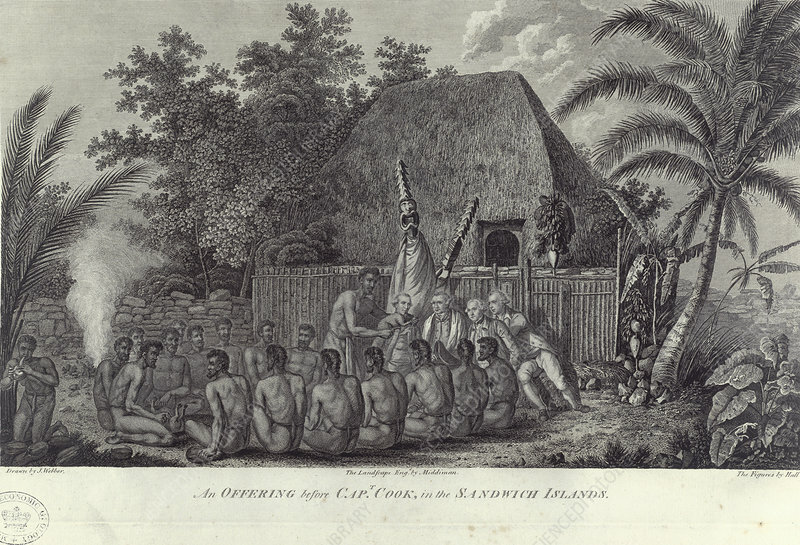 Natives of the Sandwich Islands, Hawaii, slaughtering swine before Captain Cook, c1778. Captain James Cook, the famed navigator and hydrographer, transformed our knowledge of the Pacific region. The principal aim of this, his third voyage, was to find a northern sea passage between the Pacific and Atlantic oceans. Having set sail from Hawaii in 1779, Cook returned to the islands after his ship 'Resolution' suffered storm damage, after which a fight broke out and he was stabbed to death.